Ostróda Yacht is part of the international French concern Groupe Beneteau, the world leader in the production of recreational and sports yachts and boats. 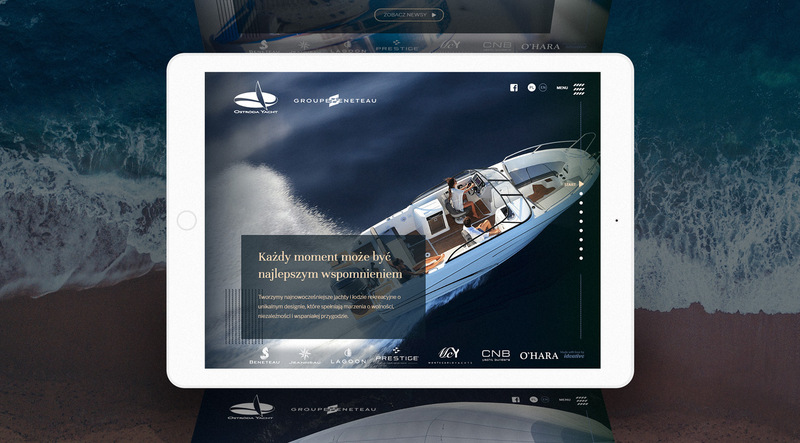 Together with PRo Communication, we had the opportunity to cooperate with Ostróda Yacht in the construction of its new website. The main purpose of the website for the yacht shipyard was to present the company itself and its offer. The client also wanted to present the company as a reliable employer and wanted to have the possibility of placing job advertisements on its website. The website for the yacht shipyard was created on the basis of a dedicated, individual graphic design and was implemented on WordPress. We used a “hamburger menu” visible all the time on the site while scrolling. 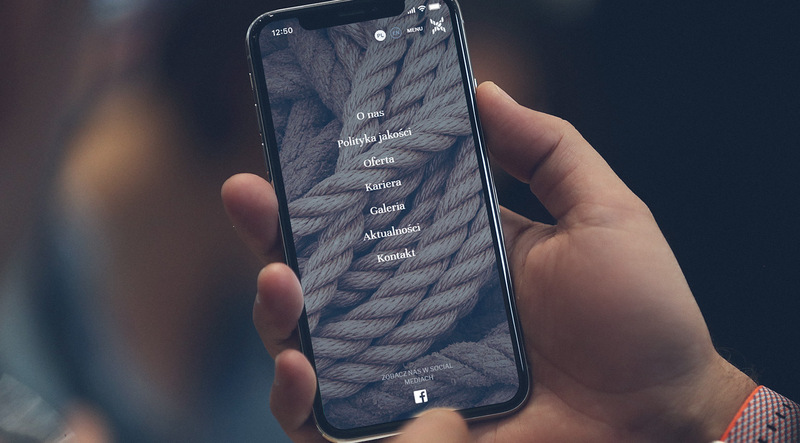 After selecting the navigation icon, we presented the entire menu structure in full, also putting on graphical links in the form of ropes, related to the brand’s activity. The constant cooperation of our company and the customer both at the design and implementation stages resulted in the creation of a website tailored to the needs of the brand and the nature of its operations. The main page construction is based on a full-screen scrolling websites, in which each subsequent section is a separate part leading to further subpages. Slider reloads both when scrolling the site and using the side navigation. The homepage is designed in such a way that it allows adding more sections if necessary. The site for the yacht shipyard, due to the international nature of its activity, is created in two languages: Polish and English. The use of the appropriate language module also allows you to expand the site by adding new languages. After completing the work related to the implementation of the website, we also took comprehensive care of security and WordPress update and plug-ins.